Now that we're coming up on three months of marriage, I forgot to share my favorite photo "series" with you all after the wedding. These pictures were taken immediately after the ceremony as we were exiting the church. My excitement was obvious and despite the rain, I think it adds a special touch. I'm showing a lot of leg in this one, but I love it. My dress was huge and heavy. 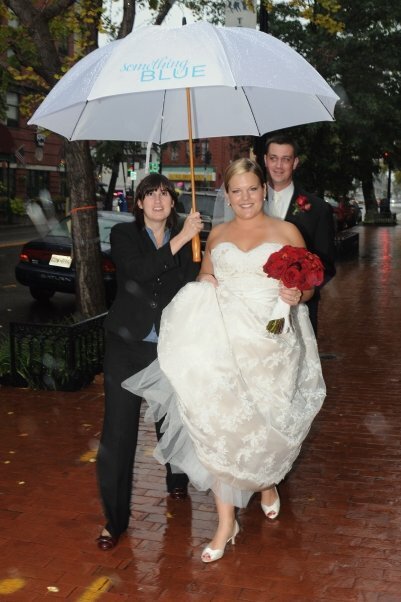 As you can see, I required an entourage to walk in the rain. 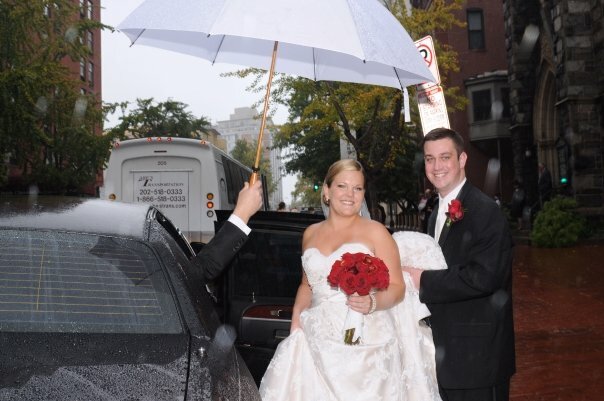 My wedding planner saved the day with that giant umbrella. She did all the work, while my husband followed. I love this picture because it is so me. If you know me in real life, you've only seen this face 22343243 million times. Plus, I know I'm biased but this picture really shows off my dress (in my personal opinion, nothing is as beautiful as a lace wedding dress). 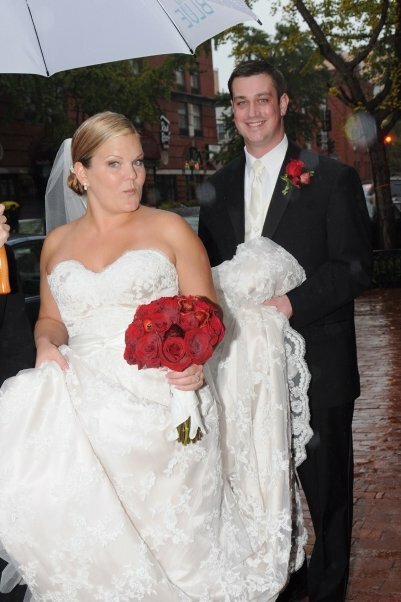 I was in love with that scalloping along the bottom of my dress and the hubs shows if off beautifully in this picture. The hubs looks super hot in this one! So there you have it.. I love all of these pictures. 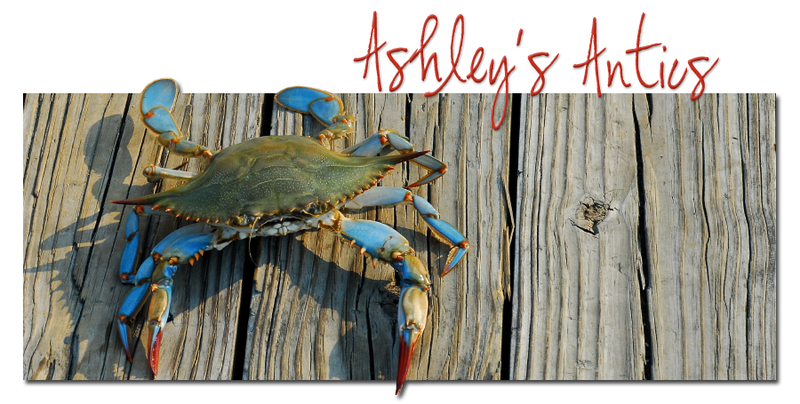 Do you have a favorite (I need help narrowing them down)? OMG. That last one continues to be one of my absolute favorites out of all of the ones I've seen. I like the close up with your signature face.